These products are labelled “Made in Israel”, the company claims to have factories elsewhere including China. An examination of the corporate annual report reveals that only some parts are made in China. (SodaStream International Ltd.; Annual report,” 30 June 2011 [PDF]). The environmental destruction continues. 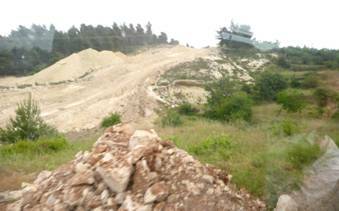 When I was in Palestine I witnessed fields, orchards and homes being bulldozed and leveled, preparing for the continuation of the wall and the construction of an Israeli-only super highway linking all the settlements around Jerusalem, including Ma’aleh Adumim and Mishor Adumin. There is nothing clean about the production of this ‘fun’ product, either. Many of the workers in SodaStream factory are Palestinians, desperate for any kind of job. Independent research has revealed that workers are poorly paid, sometimes below the minimum wage, are threatened with job loss (in any Israeli-owned facility) if they complain about bad working condition, job insecurity or low wages. They are the occupied subjects of military rule, lacking legal rights, including the right to organize. For more details, see: http://www.whoprofits.org/articlefiles/WhoProfits-ProductioninSettlements-SodaStream.pdf . 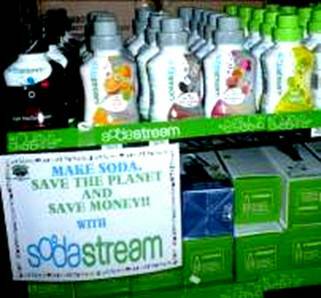 Meanwhile SodaStream claims with much publicity to have sold one million of its devices in socially-responsible Sweden. But in July, 2011 the Coop (Cooperative Stores Network) announced it would stop selling SodaStream products because they are made in occupied territory and their sale was in conflict with Coop’s own ethical standard as well as Global Compact, the UN ethical guidelines for businesses. 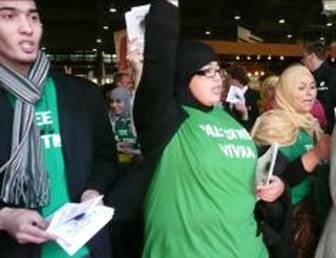 In Belgium as well as other European countries BDS campaigners actively protest against the sale of SodaStream. Canada & USA both have a Free Trade Agreement with Israel. That means, as in the European Union, certain taxes are not levied on partners. By allowing SodaStream to sell its fraudulently labelled “Made in Israel” products, illegally produced under military occupation, as free trade products, the company receives financial concessions under Free Trade agreements.